Jojo Harper is a 29 year old photographer from St Agnes in Cornwall. 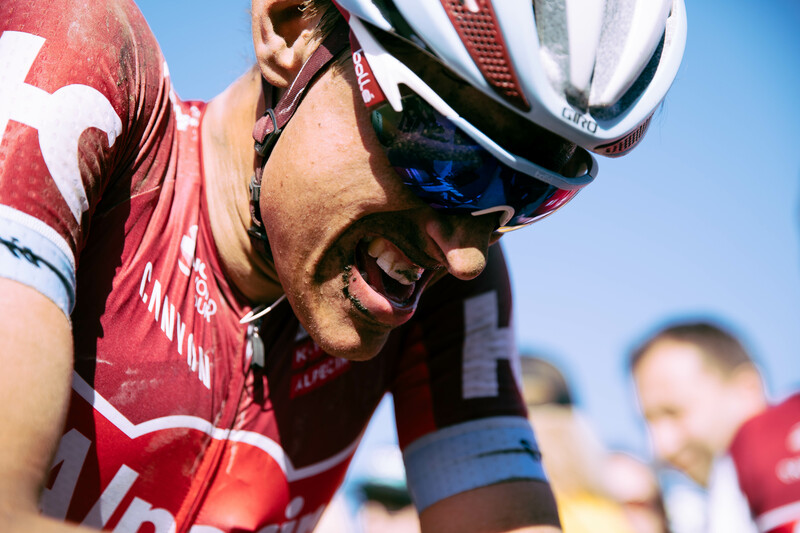 Her striking and often intimate pictures of life inside the professional peloton have seen her amass an impressive body of work for clients including Katusha Alpecin, Movistar, Team Sky and Canyon SRAM. We spoke to Jojo about her beginnings in photography, her influences, the Tour de France, and her ingredients for a great picture. Hi Jojo, thanks for taking the time to speak to us. Let’s start at the beginning: how did you get into photography? I’m very dyslexic and when I was young reading and writing were hard for me, but I understood pictures. I was very visual and was constantly asking the teachers to draw descriptions for me rather than speak or write. As I got older I found myself becoming more aware that I saw the world in a slightly unusual way. I would notice things that other people wouldn’t. I wanted to freeze these moments but never had a camera. 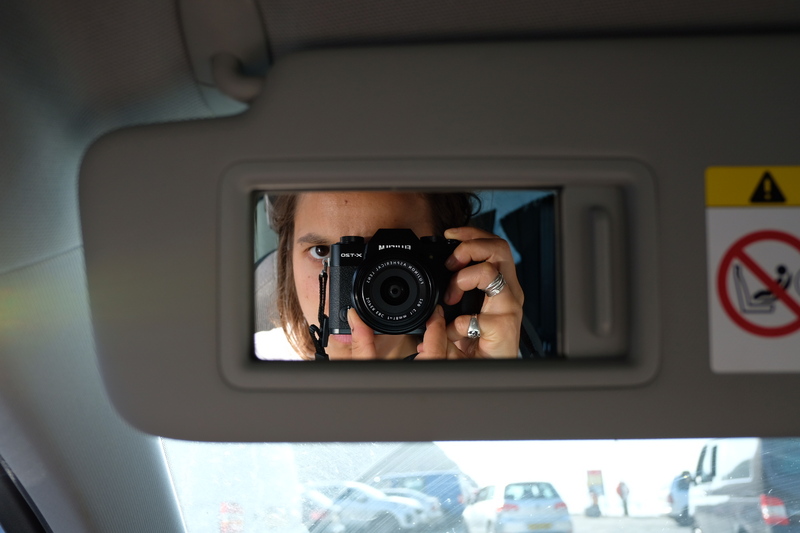 It took me a long time to realise that I should start taking photos, but finally aged 19 I got my first camera. I started with film, it was a Pentax k1000, I still have it and it’s my favourite camera. I started photographing everything and everyone, photography was a form of escape for me. When I was shooting nothing else mattered, I was totally in the moment and all my problems seemed to disappear. In terms of making an income from pictures, I started by photographing parties. My brother and all of his friends were turning 18. I shot one mega party, then another, then another, then someone’s sister would be getting married and it just snowballed from there. Event photography is not what I love, but it provided a good income. I love people and I am fascinated by their stories. I love to photograph what others don’t see, I love my photos to tell a story. Aged 24 I decided that I wanted to learn more, so with no qualifications to my name (not even A levels) I tried to get a place on a Masters degree course in photojournalism and documentary photography at The London College of Communication. I somehow managed to get a meeting with the head of the course and he said that I needed to go away and build an in-depth photo essay. At the time my brother was just starting out as a professional cyclist. I was living with him and witnessed first hand what it took to succeed as a professional athlete. It fascinated me and I felt it was something that wasn’t often photographed. The access to my brother was far too easy, I wanted more of a challenge so I contacted Tom Southam who at the time was working for Rapha Condor JLT. I had never met or spoken to him, but I found his contact details online. He very kindly gave me the access that I needed and I managed to shoot the team for a season and build a story that was strong enough to get me a place on the course. I am forever grateful to Tom, John and the team for the opportunity they gave me. Who are your main influences, What is it about their work that you like? Emily Maye, without a doubt. I don’t know her personally, but I love her work. 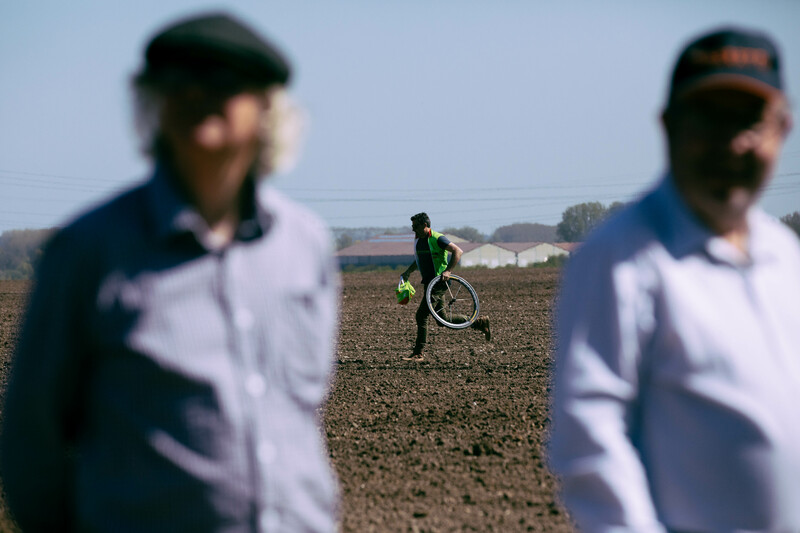 I love the fact that she is not a cycling photographer and she rarely shoots the riders on their bikes. She focuses on the story and the person behind the sport rather than the sport itself. This is the approach that I like and want to take. Are you a cyclist yourself? Mmmmm, I guess I could call myself that. Last December a Cornish shop, Bikechain Ricci, gave me a lovely bike in return for some photography. Since then I have been hooked! Both my brothers are pros, my dad has ridden his whole life as has my mum. As a result I have been riding bikes my whole life so it feels very natural to me, but I only started riding properly at the beginning of the year. Cornwall is tough riding, so many hills! How has that influenced how you take cycling pictures? I wouldn’t say that my riding influences my work, but more my brothers and witnessing how they ride and live their lives. They have taught me (without realising) when and when not to take a photograph. Cyclists can be touchy and you have to know when to leave them alone, especially during races. What do you think it is about professional bike racing that makes it so good to photograph? The brutality of the sport and the pre-rituals. There is no other sport in the world like it. 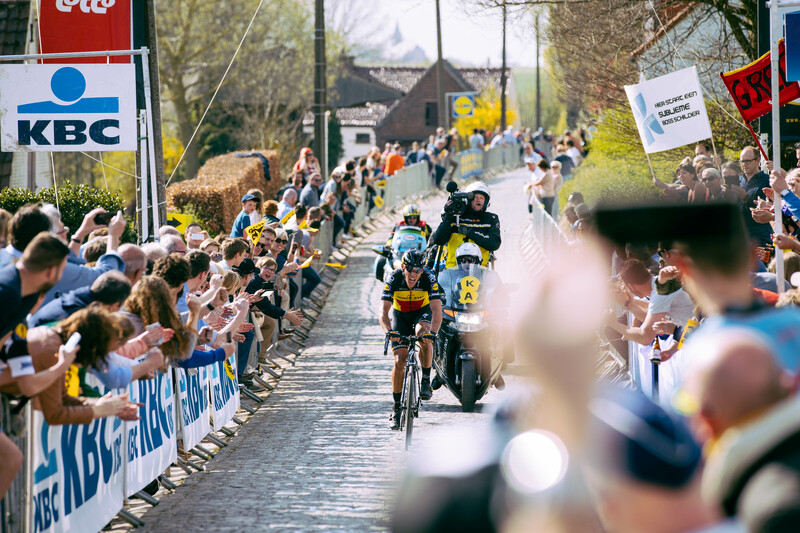 I also love the chaos that surrounds the sport, especially during the Tour and the Classics! The fans are a story in themselves. 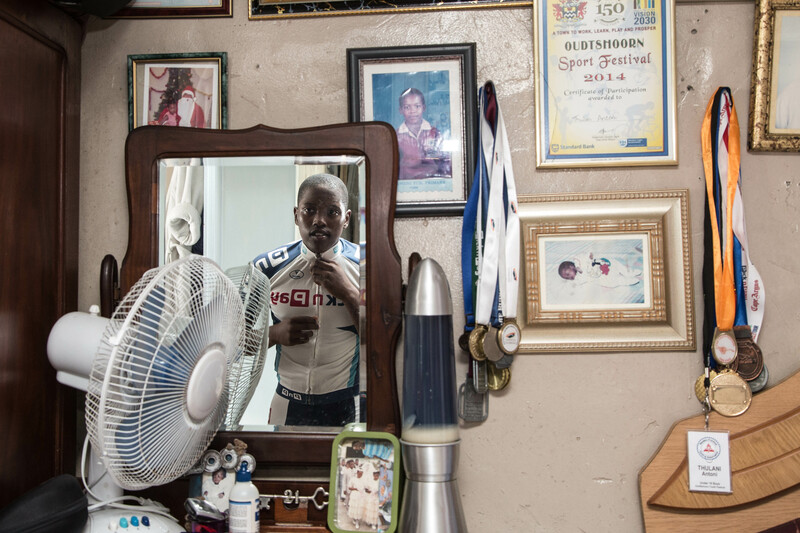 What’s it like photographing a day on the Tour de France? Amazing. I love every second of it. I still have the feeling that I had when I first started. When I’m away on a bike race, that’s all I can think about, any other problems in my life become irrelevant. I love being part of a team, especially part of Katusha, they are a great team and look after me well. The stages at the tour start relatively late, so some mornings are very civilised. The riders and staff have breakfast together at 8.30/9ish. I sometimes shoot this, I sometimes don’t as it’s not something that needs shooting every day. We then have to take our luggage to the truck so the soigneurs can transport it on to the next hotel. We leave the hotel at around 10am, arriving at the stage an hour or so before the start. There I’ll shoot the mechanics getting the bikes ready, the team on the bus and the fans surrounding the bus. I try and take a different angle and vary it each day. It’s hard as a photographer to follow a stage unless you are on a moto. I quite often go with the soigneurs to the feed zone. This means that I get them preparing the riders’ food and then the riders coming through. It’s easier to shoot the riders here as I know they will be grabbing a musette rather than stuck in the middle of the bunch. Then I’ll head to the finish, but very rarely try to get the finish line shot. There are plenty of other photographers who get that shot. I tend to stay with the soigneurs and wait for the riders to come to them for a drink and a chat. This is the best place to be if we get a win as well. We then head back to the hotel. Transfers vary from ten minutes to three hours. When we get back I sometimes shoot the mechanics cleaning the bikes and the riders getting their massages. I then go to my hotel room to edit! This is the time-consuming part, although I have got faster. I give the team a gallery at the end of each day. Dinner is usually late as we wait for all the staff to finish, the mechanics are always the last. We usually eat at about 10pm and then if my editing is done its time for bed! What’s been your favourite race to photograph? Why? Paris-Roubaix hands down. The dirt, the speed, the atmosphere, the fans, the pain the riders endure, the perfect mix for a photographer! Any photography (or cycling) pet hates? Fish eye lenses, dated and cheesy. Over edited work, I prefer something a little more real. Are there any riders in the current peloton that stand out for as being particularly photogenic? Illnur Zakarin, an amazing rider with an ‘interesting’ style. What for you are the ingredients that make a great picture? Access is number one, and the hardest bit. Once you have this it’s all about making the riders feel comfortable around you. Combine this with some beautiful light and a pre-race contemplative moment and I think you have a good photo. View ‘A day on the Galibier’ by Jojo Harper for Albion.